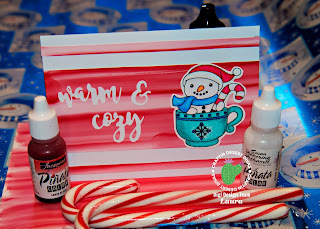 Hello everyone, Digital DT member Laura here to share with you a fun "candy cane" striped background done with alcohol inks and some blending solution on the Craftin Desert Divas Blog. I had so much fun playing with this technique and I made several that you will see in the future but I chose this one to share with you today. 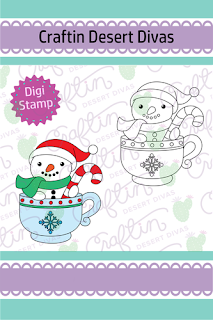 I paired it with the Snow Cup Cutie digital stamp from Craftin Desert Divas. I started with some YUPO paper, which is a plastic coated type cardstock that works perfectly for this technique. I am traveling and didn't have my blender tools with me so I had to improvise and used some quilt batting that my Mother had. It actually worked extremely well! I cut a rectangle of it and dropped a red dot of Alcohol ink, then a white, then a red in a line ( I used Santa Fe Red and White Pinata brand alcohol inks). 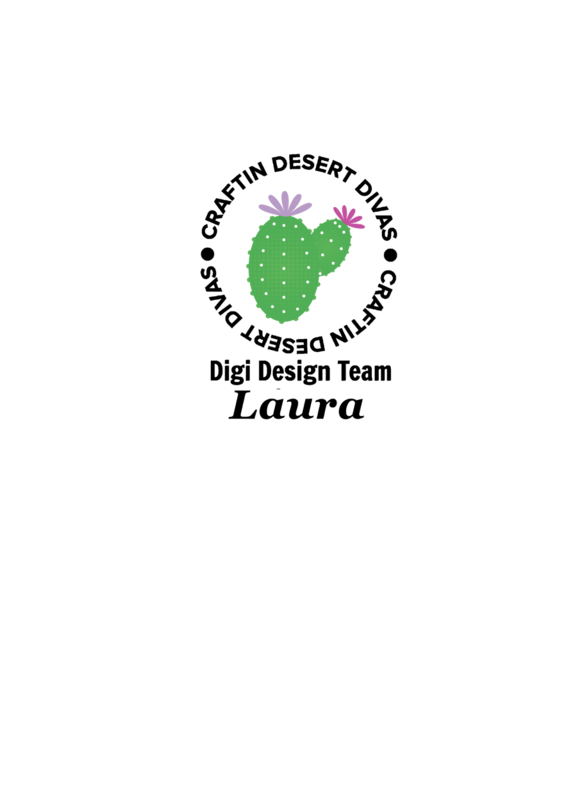 I had pictures of this but they disappeared into thin air. 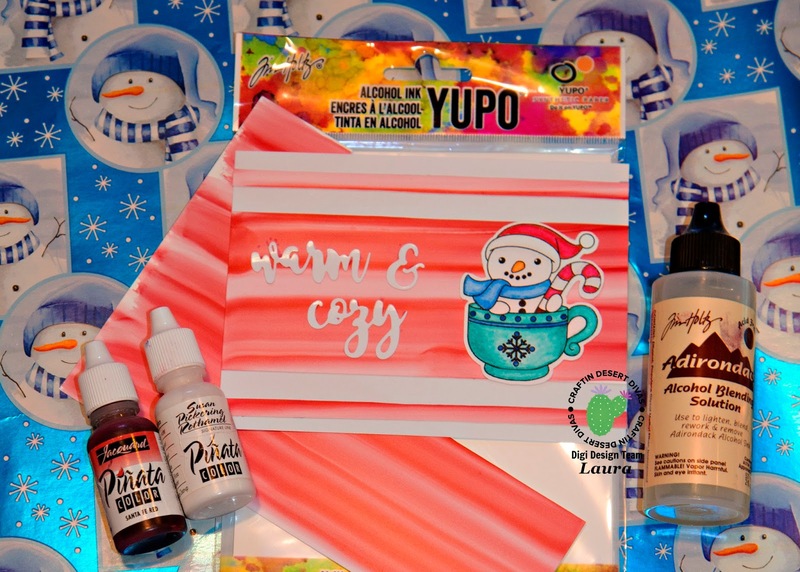 I then squirted some blending solution (I used Adirondack brand by Tim Holtz) in a line across all 3 dots then I swiped downward on the YUPO to make my stripes. 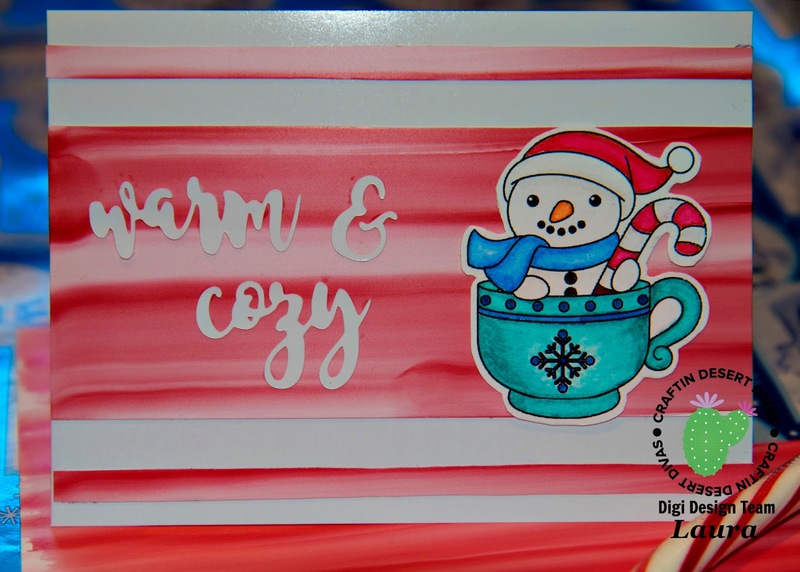 I was very happy with the candy cane stripes that appeared! I let it dry overnight and then cut it down to size. I printed off the digital Snow Cup Cutie stamp and colored with my Zig Real Clean markers. Next I cut it out and added it to my background for a fun and festive winter card! 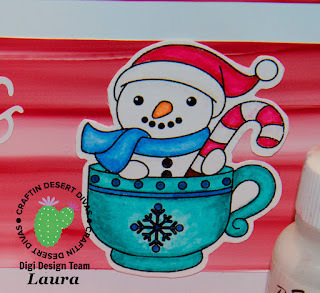 There are so many fun techniques you can do with alchohol inks, I hope I have inspired you to try this one!